A traditional and delicious Christmas table creates that special Christmas atmosphere. 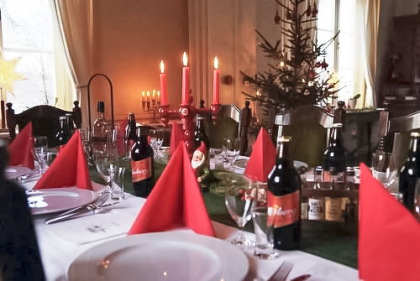 At Långshyttans Brukshotell we serve a wery tasty and well prepard Christmas table from our own kitchen. All the dishes are made here with ingredients from local producers. In addition to the delicous flavors you will enjoy an atmosphere with surroundings where you would not be surprised to se Sanat VcLaus and his helpers around the corner. To complete the experiance for your friends or colleagues, book also an overnight stay in our mansion. 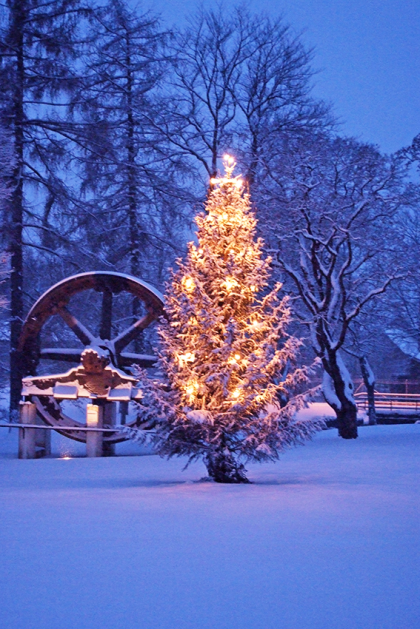 Bring your friends, family or colleagues to a memorable Christmas table with us at Långshyttans Brkshotell. We start serving Christmas tables 24th November, Fridays and Saturdys as well as Sunday 10th December. For larger parties we arrange Christmas tables also other days of the week.